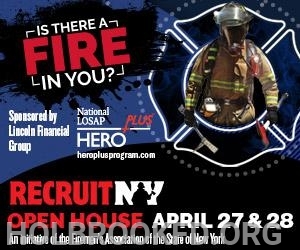 On Saturday, April 27 and Sunday April 28 from 10 am until 2pm, the Holbrook Fire Department will open their doors in an effort to attract those neighbors interested in answering the call to become a member. 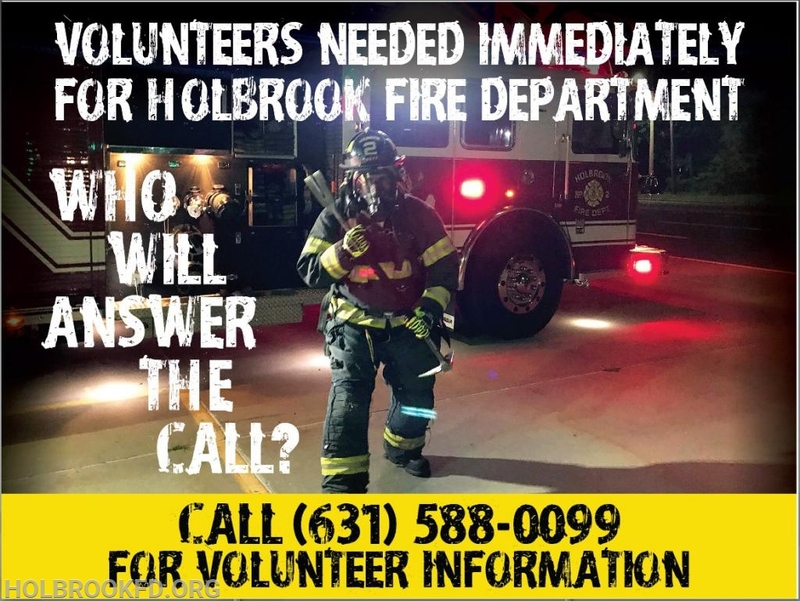 The Holbrook Fire Department needs volunteers to help respond to over 2200 Fire and EMS calls annually. If you have a fire inside you to help your neighbors and the Holbrook Community please come down and join.